Stunningly re-imagined 3/2 carport home in the highly desirable 100 block of College Park. No expense was spared on this perfectly restored masterpiece. The home features a new over sized kitchen with bar top,coffee bar, and pantry. The gorgeous white shaker cabinets mesh perfectly with the Quartz counter tops, subway tile back splash, and new Samsung stainless appliances. From the kitchen the warmth of the freshly restored red oak floors draws you in to the comfort of an open living and dining room overlooking the expansive freshly sodded back yard. Moving to the east side of the home you will find two completely renovated bathrooms with matching Quartz topped vanities and white subway tiled showers and tub areas finished in brushed nickel fixtures. The large bedrooms offerexcellent views of the yard and plenty of space for family. The finishing touches include a brand new HVAC system, windows,electrical panel, irrigation, and landscaping. 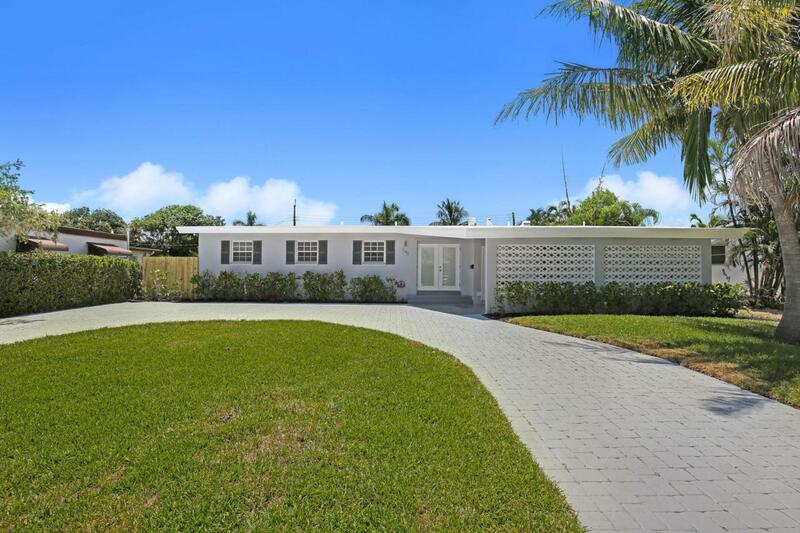 Come and see this beautiful example of South Florida living before it is gone!